Happy Birthday Card With Jungle Animals. Cartoon Vector Illustration.. Royalty Free Cliparts, Vectors, And Stock Illustration. Image 37038687. 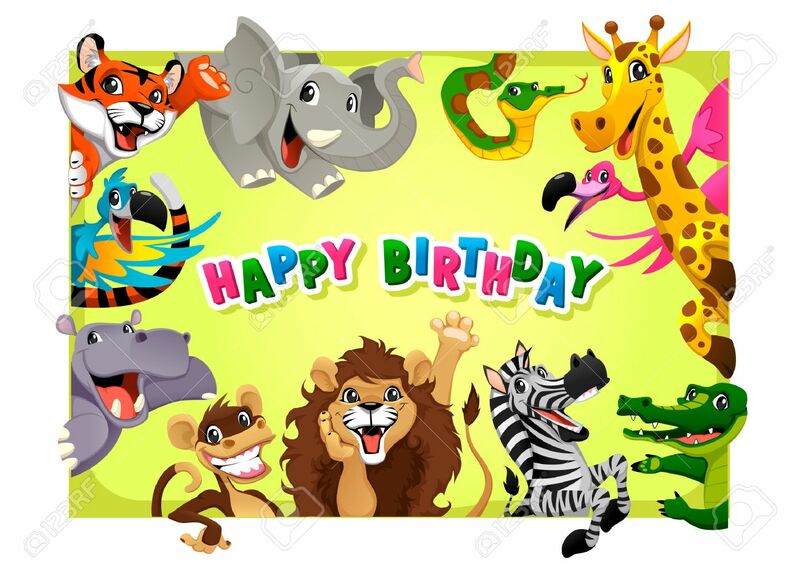 Vector - Happy Birthday card with Jungle animals. Cartoon vector illustration with frame in A4 proportions. Happy Birthday card with Jungle animals. Cartoon vector illustration with frame in A4 proportions.